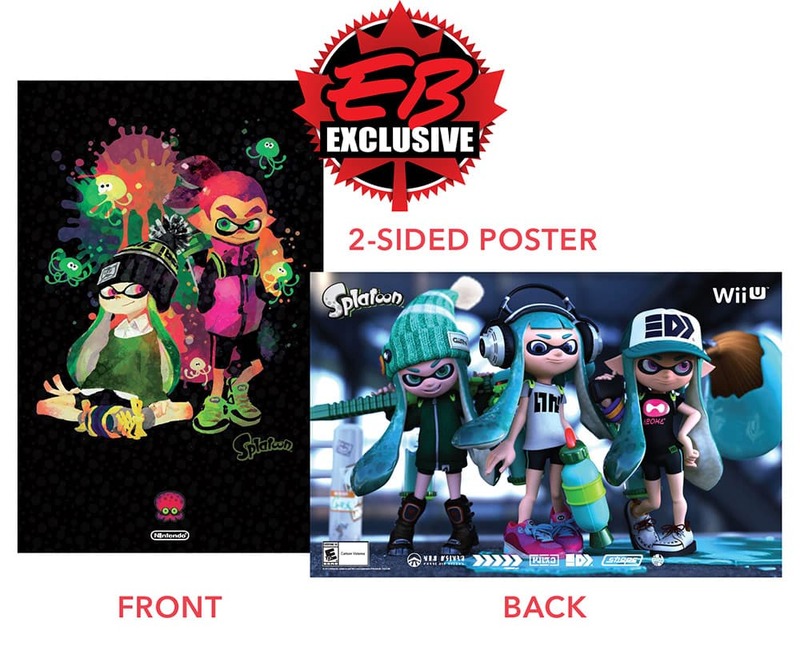 EB Games Canada are luring into purchasing Splatoon by offering a double-sided poster as a pre-order bonus. This will be exclusive to the specialist retailer, with an artistic interpretation of the Inklings adorning the front and three turquoise Inkling Girls armed and ready to take on their opponents on the back. Splatoon will launch exclusively for Wii U in Japan on May 28th, and everywhere else worldwide on May 29th.